We love hearing from parents about their students’ success with Factivation!® Here are a few of the unsolicited testimonials that we regularly receive from parents who are thankful to have found a method that works and is enjoyable for their students! Thank you for the wonderful program that helped us to do something no other program could do. We love it. I have been telling as many parents as I can. My son is in an accelerated math class and this does the trick. I am going to let the teachers know. I am very happy with Factivation as my child has special needs and was not responding well to other methods. I just wanted to let you know that my daughter completely learned all her multiplication facts in less than two weeks and in her first three weeks of 3rd grade she has made 100% on three separate timed multiplication test. Thank you so much for a wonderful product ! My son used the Factivation for Multiplication during the last school year and we loved it. I purchased the online version of Factivation and my son loves it! We love the program! It has helped my triplets learn multiplication. We homeschool and my daughter has mastered her multiplication facts. Awesome program!! It is fantastic – my 7 year old is flying through this stuff and my 4 year old is learning to multiply already and begs to play the games when she gets her kindergarten work finished. 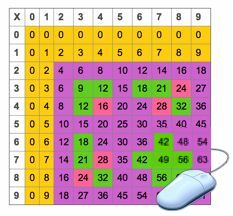 Thank you for making this so easy to teach our kids rather than having to memorize the times tables like we had to do! Way to go!! When I started this program with my kids last year, I was desperately seeking a way for them to learn without tears, torn papers and frustration. Praise God we tried Factivation and they know their facts! They are zooming through their math assignments now. Thank you! Thank you! This is a very fun & helpful program for building a strong foundation in basic math facts.